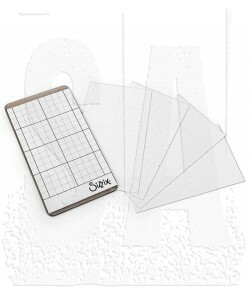 Tim Holtz Sizzix Sticky Grid Sheets: 2 14" x 4 1/2"
Stick to the perfect start! 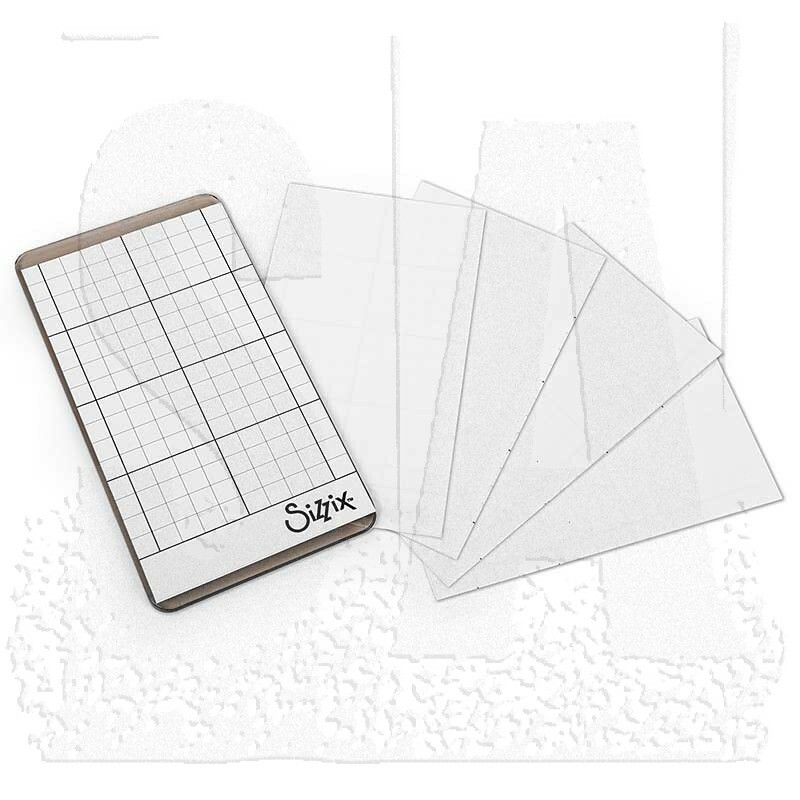 At 2 1/2" x 4 1/2", the Sizzix Sticky Grid Sheet is sized perfectly to hold small Thinlits and Framelits dies firmly in place in the Sidekick Machine with Sidekick Cutting Pads. Just peel and stick to your Sidekick Cutting Pad and the helpful grid lines will show the way to easy alignment for the perfect registration especially when cutting letters, numbers and more. For added convenience, a temporary adhesive allows the sheet to be used multiple times on either side. It's just sticky enough to adhere to your dies and Cutting Pad, but won't tear your paper. Works with Sidekick cutting pads 661769 and 662537.